If you have this strong desire of getting closer to the concept of new art or modern art then it is important for you to read an art magazine. An informative art magazine will always feature a review section that covers books and exhibitions of all varieties along with regular columns on the multiples and the books of artists. Without doubt this is the book that has been direly missed in the technical-artistic world of mosaics and its publication now makes it possible to study mosaics from a number of viewpoints. It is a book that not only traces the origins, life and history of the most splendid ages of the mosaic, but also penetrates the shadows and reveals the dimmer reflections from darker ages; a book that approaches mosaics realistically, giving them substance, just as the protagonists and artists of ancient and recent times have done. For these purposes it teaches the methods of producing mosaics, the behaviour of the materials (pebbles, shells, marble, glass, earthenware, smalts, glass paste, hard stones and precious stones) drawing on the assistance of technique, mechanics and chemistry. For mosaic tesserae to become a mosaic they must be capable of attachment to floor, a wall or cupola; technically, mechanically chemically attached to a surface and also in a way that resists infiltration of water, abrupt temperature changes and even earthquakes. Throughout the centuries the mosaic has enjoyed moments of great glory and likewise moments of oblivion. Its survival through time has indeed depended on human techniques, but also, and unfortunately, on the fortunes of war or religious dogma.Nevertheless, the overall triumph of the mosaic has consolidated and reinforced the need to use highly specialised techniques in its production. It has also shown us that in addition to technical requirements, it will always be the artists ability to create images that makes the crucial difference. For these purposes it teaches the methods of producing mosaics, the behaviour of the materials (pebbles, shells, marble, glass, earthenware, smalts, glass paste, hard stones and precious stones) drawing on the assistance of technique, mechanics and chemistry. For mosaic tesserae to become a mosaic they must be capable of attachment to floor, a wall or cupola; technically, mechanically chemically attached to a surface and also in a way that resists infiltration of water, abrupt temperature changes and even earthquakes. Throughout the centuries the mosaic has enjoyed moments of great glory and likewise moments of oblivion. Its survival through time has indeed depended on human techniques, but also, and unfortunately, on the fortunes of war or religious dogma. Nevertheless, the overall triumph of the mosaic has consolidated and reinforced the need to use highly specialised techniques in its production. It has also shown us that in addition to technical requirements, it will always be the artists ability to create images that makes the crucial difference. Seven mosaic tesserae can be used to produce just a line but they can also form an eye, a living eye that watches. What, then, is a mosaic and what should it be? To find out, it suffices to know how to look and to listen and then to realise that in order to create balance the artists knew how to unite and connect opposites, such as light and dark, movement and stillness, fantasy and reality, truth and fiction, warm and cold colours, relief and recess, space and time. Finally, when the balance is set up and working the two-dimensional mosaic becomes a three-dimensional space, so that it becomes living and so lives. If you’re interested in this awesome book, you can find it on Amazon here. What do you mean by a good art magazine? A good art magazine is one that is written by an art educator who wants readers to take the best advantage of his or her success and experience in the field of art. A good art magazine serves as an unparalleled source for inspiration, creative ideas, art-education information and classroom resources. It would be a wise decision for you to go for an art magazine that is used as a study material in teacher-education programs at universities and colleges throughout the world. Quality art magazines are the ones that cover every important facet of art and these include theatre, music, film, visual art and photography. The readership of such a magazine is very high and it even has international distribution. Good art magazines include features on performance, music, art and film highlighting some of the most popular exhibitions held across the world and even showcasing excellent photography. What is the Main Focus of an Art Magazine? The main focus of an art magazine is covering all the different facets of visual art and artists. Modern day art magazines keep their readers in touch with the fast-moving art world of the present times by way of in-depth features and interviews including leading lights and profiles on the rising artists and stars. They also cover updated coverage of the trends that come from the independent critics. Art magazines also contain letters from the foreign correspondents. You can get your dose of both contemporary and modern art by getting hold of a good quality art magazine. It is very challenging to hammer the feeling of sitting down with a relishing cup of coffee along with the latest publication of a good arts magazine. There are many great arts magazines that have gone online but in spite of the internet crave, there are arts magazines that are still available in printed versions. 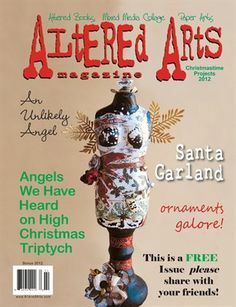 Getting hold of the right arts magazine can turn out to be a little challenging considering the fact that there are thousands of magazines available in this category. However, in these modern times, it is important to make an informed choice when it comes to choosing an art magazine mainly because there are different varieties available throughout the market. How to Choose the Best Art Magazine? There are arts magazines that are nicely designed featuring appealing typography and photographs. But when you actually have a look at the content of these magazines, you will find that the content is a complete mix of visual candies that are fast consuming. Authentic art magazines are rare in the market. Therefore, if you are an art lover then it is necessary for you to judge the design of an art magazine in the first place and then examine its content. Do not go for the ones that have much of their pages dedicated to photography and design. Also do not go for magazines that talk about old arts like art history and dead artists; the ones that talk about art numbers and market and the ones that look too banal.